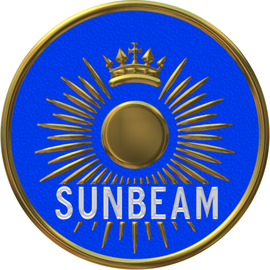 Sunbeam was a marque registered by John Marston Co. Ltd of Wolverhampton, England in 1888. The company first made bicycles, then motorcycles and cars, from the late 19th century until about 1936, and applied the marque to all three forms of transportation. The company also manufactured aero engines in World War I and 647 aircraft during World War II. A Sunbeam was the first British car to win a Grand Prix race, and it set a number of land speed records. The company went into receivership in 1935 and was purchased by the Rootes Group, which continued to use the Sunbeam marque until 1976 when new owners Chrysler rebranded the vehicles.